In Italian and soon in French! Real Love Lyrics for Just Loving YOU! by the great Lady of Americana Pop & Country Nikki Hornsby. 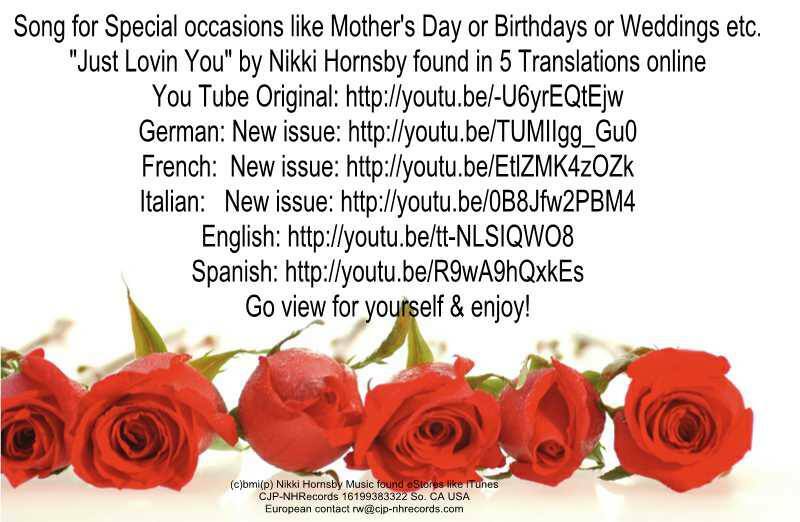 This entry was posted in Music Press, Video and tagged En t'aimant tout simplement, Just Loving You, Nikki Hornsby. Bookmark the permalink.